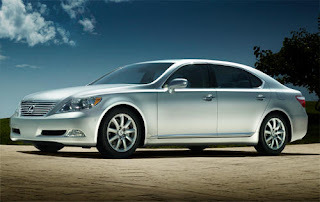 Lexus announced today the recall of 480 vehicles in Ireland due to concerns over stalling engines. Don't worry though, this isn't anything like the 10 million car recall Toyota performed recently. The primary concern centres around improperly functioning valve springs which can cause the engine to "splutter" when idling. The recall is a precautionary measure to avoid any possibility of the engines stalling whilst the car is being driven. No accidents have been attributed to the fault thus far. If you're wealthy enough to be driving any of the current generation LS 460, LS 600h and GS 450h you should contact Lexus Ireland on its dedicated Freefone number 1 800 224222.